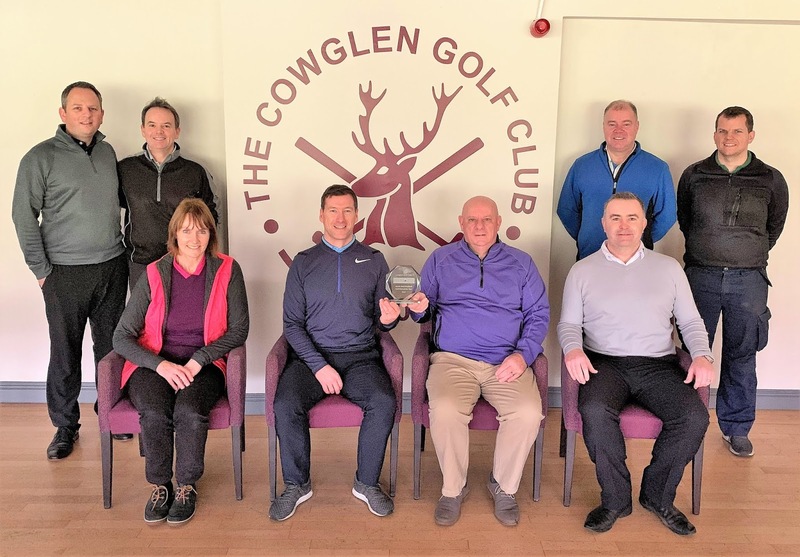 The Cowglen Golf Club staff and council members pictured with their award. The award has come in recognition of the outstanding facilities that are available to golfers from Glasgow and the surrounding areas. It is no surprise that the club is constantly striving to improve on what is already an outstanding venue for members and visitors alike. In fact, club captain Jim Bonner has stated that this recognition has come mainly due to the amount of hard work that has been put in by Simon Payne (club secretary and head professional) and his team to make the club such a welcoming environment, this has also been equally matched by the dedication and sterling efforts of the head greenkeeping staff, lead up by head greenkeeper Michael Stack. This has clearly gone towards giving the club its current stature of being the single best golfing experience in the South-west of Scotland. It gives us great pleasure to announce that Cowglen Golf Club has been announced as Your Golfer Magazines South West Scotland Golf Club Of The Year 2019. Jim also went on to say "There has also been a great sense of pride around the club from our members who feel that achieving an award like this is really something special to the club”. One of the reasons for Cowglen being selected for this is due to the overall friendliness of the club, as well as its innovative junior+ category allowing adults to play with the junior+ member for free, which is a sure sign that Cowglen Golf Club really are looking to the future. Memberships are still available for this year, so, if you are looking to join an award-winning club in the region or looking for a society venue with something a little extra then look no further than Cowglen Golf Club.